Our new report on Teens and Tech did a deep dive into how 12-to-17 year-olds use technology. Among the findings were a substantial increase in the use of smartphones by teens and a significant number who are “cell-mostly” internet users — getting online by using their phone rather than a desktop or laptop computer. 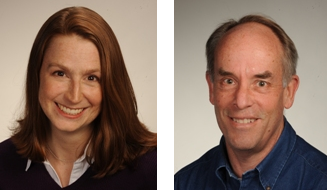 Amanda Lenhart, senior researcher at the Pew Research Center’s Internet & American Life project, and Lee Rainie, director of the project, took questions on the study from our readers in a Facebook chat conducted March 14. Amanda Lenhart: Welcome everyone! 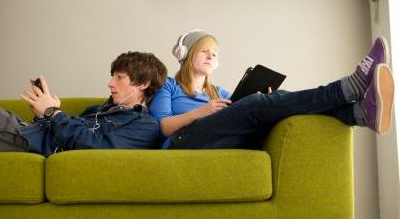 We’re very excited to discuss our new findings on teens & technology with you. Please post your questions/comments in the comments section below this post for the next hour. Courtney Mota: Hi Amanda, do you have breakouts on what teens do on their phones, and when? Texting, games, photos, social networks, “googling stuff” etc.? Amanda Lenhart: So the last time we really looked at what teens were doing with their phones was in 2010 in our Teens and Mobile Phones report. So the data is a bit old and doesn’t take into account all the new functionality that smartphones offer. But back then we saw that 83% use their phone to take photos (most popular), 64% share those pics with others, 60% use phone to play music, 46% play games, 11% purchase things on the phone, 21% use email on the phone. You can find more on page 5 of the report linked above. Kimberly Allison: Following up on Courtney’ Mota’s question, with increased mobile usage, are there topics teens or more or less likely to look up from their phones? Are views on privacy changing at all? Amanda Lenhart: We’re releasing a new large report in the next few months that looks squarely at youth and privacy online and on phones. In fact, the survey is designed to focus on privacy, these questions are just a few we’re peeling off early so that folks can have access to the basic use data sooner. Grace Bello: Any data about media literacy? If teens are relying more and more on the Internet for information, is there any indication that they know how to distinguish an official source from an unreliable one? Also, are there online resources or courses that teach teens media literacy? Amanda Lenhart: This study focuses on privacy, but we hope to look more thoroughly at media literacy in the future. The Berkman Center at Harvard is doing a bunch of great work on information literacy with you – and they’re our partners on this project. Adam Gertsacov: One of the most interesting findings I thought is that the heaviest texters are the heaviest talkers. Those that want to communicate use any (and every) means necessary. Amanda Lenhart: Thanks, I thought that was a fascinating finding from our earlier reports on Teens, Smartphones and Texting. @Anh Ta: Any thoughts on recent trend of teens migrating from Facebook to alternative social networks, such as Pheed? It seems teens are increasingly concerned with privacy, especially from prying parents. Lee Rainie: Helping out Amanda here. We’ll have a major report in about 6-8 weeks on teens and privacy issues. We don’t have data on teens coming and going on Facebook, but you can see some of the young adult trends in this recent report of ours. Episcopal Church of the Good Shepherd, Town and Country: We just read last week that teens are already tiring of Facebook. What do you recommend to reach them as best tool for now? Lee Rainie: I’d bet your youth group members would give you great insight into what platforms and devices are “hot” among teens in your area. There is never a “one size fits all” answer, so you’ll likely find it useful to test out several platforms/services and then watch your data! Amanda Lenhart: Re: Lee’s comments to the Episcopal Church – we haven’t seen much about teens dropping off of Facebook, though they may be using it less. You can still reach them there, but it pays to diversify and exactly as Lee, says, ASK your youth about where they are and go there. It maybe that your group is on Twitter, or Tumblr. And it depends on what you want to share – a Tumblr is great for sharing image oriented content, Twitter is best for shorter burst of information, with the opportunity to go deeper through links. Jeff Sonderman: Is there any data about whether teens are more comfortable than older people with the idea of using small screens for extensive time and activity? Amanda Lenhart: We don’t have data on that specifically. I do know from some focus group work that some older adults have difficulty with mobile phones generally because of visual impairments, but that’s about as much as we have on your question. Amanda Lenhart: Those are great questions – I know there are folks looking at obesity and heavy use of technology (gaming, and television watching, I believe). I know that Sandra Calvert at the Children’s Digital Media Center at Georgetown University is looking at how to use games to help obese children and teens lose weight. And I bet she and her colleagues know others who are looking into the questions that interest you. Sarah E. Montague: My own “personal” family research with nieces and nephews indicates that Tumblr is growing as communication hub. Wonder if you see that too. Amanda Lenhart: We didn’t have room on our current survey to ask about Tumblr specifically, though it is definitely starting to come up in our open-ended questions. We can see that Tumblr is important to young adults in some adult work we did on the topic recently, which our moderator will post shortly. Charles Strickland: 23% of the kids use a tablet or laptop. That to me means the kids are not reading or reading a printed publication. Am I correct in this assumption? Amanda Lenhart: Your assumption is not correct. First teens do plenty of reading on tablets – websites, news articles, fan fiction, and plain old e-books. Plus, we don’t have a sense of whether technology and media use is a zero sum game – are they replacing reading with tablet time or TV watching? The Kaiser Family Foundation and Common Sense Media have done research that looks at how kids and teens spend their time with media and technology. Digital Family Summit: I am shocked that teens with $30K in income in their households -62% have smartphones . Even the cheapest data plan/phone stuff ends up around $600 a year. Amanda Lenhart: Re: the uptake of cell and smartphones among the lower income youth – it’s true that it can be a significant expense for youth and families, but often it is in lieu of home internet access or a computer and families will stretch to get that access for their kids. Plus there are plans that don’t allow for much roaming, but offer unlimited data, texting and talking for a flat monthly fee of $30 or $40. So if you don’t get a chance to travel out of your city or neighborhood, then those phones and plans are great. This is really only an urban phenomenon – rural area are different. Deb Levine: Thanks so much for the new report, Amanda, and the links. We’re finding that the results are in synch with a report we did last year of a sample of teens who visit popular online gaming sites. In particular, that youth of lower SES are using their non-smartphones for EVERYTHING — surfing the Web, gaming, purchasing, and communicating. Amanda Lenhart: So glad to hear that our work reinforces yours! As for the ISIS question about how technology impacts mental and physical health, that’s a realm we haven’t entered, yet. But we hope to down the road. And you guys already do great work in the sexual health arena. Amy Jussel: Are teens starting to use the ‘quantified self’ apps/data measurements/mobile or games/gizmos for both physical/mental health? (if so, what kind/format? fitness? nutrition? relationship help w/peers-parents? sexed/dating relational aggression, quiz Q&A?) Also, are they sharing data peer to peer or self-knowledge in focus? Amanda Lenhart: We’ll have a short report about apps and youth (with a focus on privacy) out in the next few months, but we didn’t have survey room to focus much on what kinds of apps. Your questions is a great one, though – would be great to learn more about that. Lee Rainie: Nielsen researchers are quite good about exploring apps use. Amanda Lenhart: Alright everyone – thanks so much for a rip-roaring, terrific chat! Great questions – hope we can do this again soon! And please feel free to come find me and chat on Twitter. I’m @amanda_lenhart there. Lee Rainie And a final plea: We would LOVE to hear stories from teens and their parents about how they use technology, navigate digital spaces, think about privacy, handling tough social situations on social media, share support and encouragement online — the whole range of human engagement. Write us at info@pewinternet.org and, better yet, sign up here to help us with surveys.